But I’m in Florida now, a guest of my friend and her husband. We shopped healthy. Very little carbs. Eggs, chicken, salad stuff, and fruit. I learned a lot watching her make choices. So much of weight loss and healthy eating starts at the grocery store. That seems obvious, but . 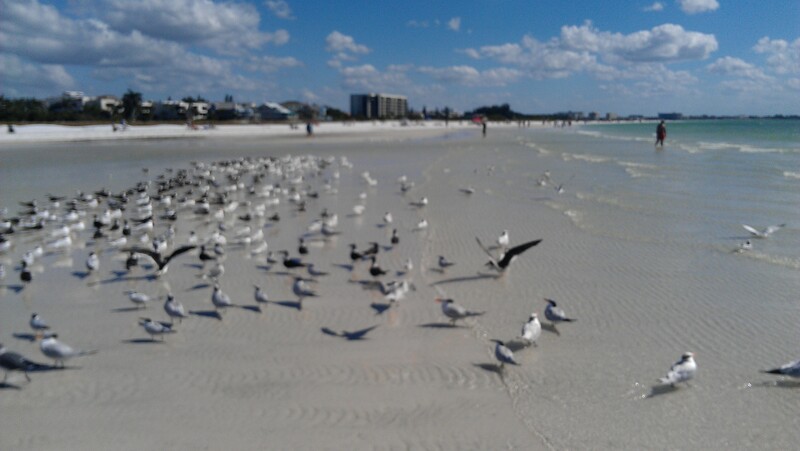 . .
Now this is the way to exercise—walking a gorgeous white-sand beach with the waves lapping next to me. 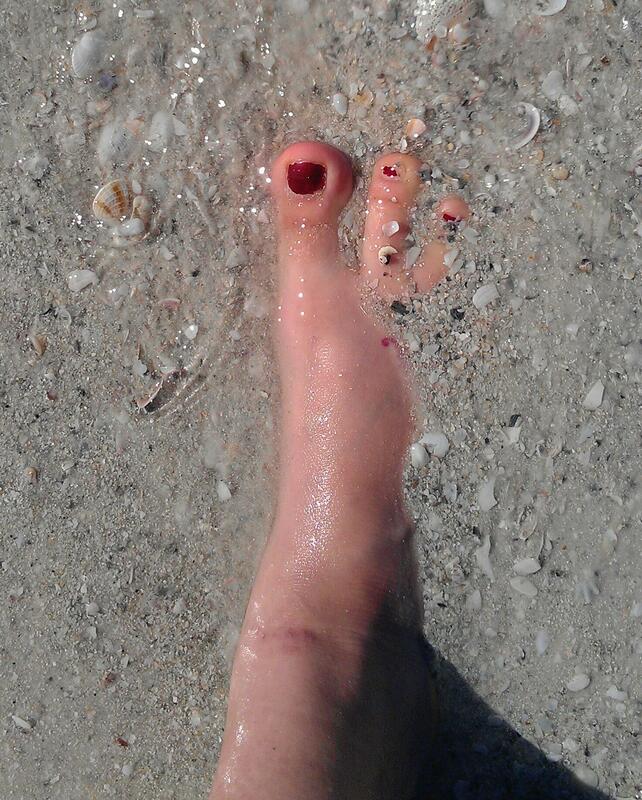 Love the sand squishing between my toes! The seagulls block our path and flutter into the air as we push into their flocks, so close I can feel the whoosh as the birds take to flight. We leisurely walked 5 miles while we got caught up on each other’s lives. It’s easier at sea level, and we didn’t push anything. We stopped halfway through to sit and watch the waves, but still! Who would have thought two months ago when I spent a good portion of my day in bed that I would walk five miles???? So far I don’t feel like reading or journaling or doing anything but walk the beach, rest, talk to Kathleen, and lie in the sun. I thought I’d process all the trauma of the last many months, but I just don’t want to do anything. Tomorrow’s post gets a little weird (at least for me) so uh . . . well, we’ll see what you think. How do you balance the need for healthy foods and your budgetary restrictions (if you have any). Do you agree that weight loss and healthy eating begins at the grocery store? What helps you make healthy c choices when you shop? What do you do to unwind? How do you process hard times? Too right about the war starting in the store. I like that analogy. You’re right about starvation mode too. If you don’t eat enough your body thinks its starving and holds on to every calorie it can get, slowing your metabolism. It does sound counter intuitive but believe me eating a little more, especially after exercise works! Learned the hard way. Thank you for confirming the not eating enough thing, Marie. And it’s interesting to think about how much of the battle starts at the grocery store, isn’t it? Did you get more snow?